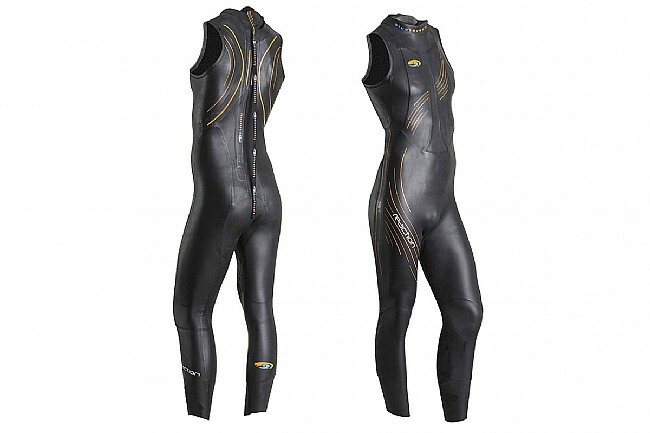 Take your swim to the next level with the Blue Seventy Sleeveless Reaction Wetsuit. Featuring premium 39-cell Yamamoto rubber, this wetsuit provides superior buoyancy designed to work with your body and stroke. 39-cell Yamamoto rubber provides superior buoyancy. VO2 Chest panels provide additional stretch for easier breathing. Reactive Stretch Technology provide unencumbered reach and mobility from the shoulders. Single-seam legs reduce pressure and increase comfort.